A favourite at Why Hello Beauty, personalised beauty retailer Say It With Polish, have partnered with six important charities (Manly Women’s Shelter, Pink Hope, UN Women National Committee Australia, Vision Australia, Working Spirit and Sydney Dogs and Cats Home) to launch their charitable platform, Polish For Purpose. From May 1st 2017, by simply purchasing a polish from the Polish For Purpose collection, customers can choose to generate awareness for a life-threatening illness, raise money to assist the vision impaired or women in crisis, save lost and abandoned pets or support our military veterans. Polish For Purpose lets customers nail the perfect gift for any occasion while supporting a worthy cause. Each nail polish shade and personalised quote has been designed in conjunction with the respective charity to express their individual style and compliment their mission, and for each bottle sold 100% of the profits are donated back to the charity in question. Say It With Polish products can boast as being Australian made, certified 100% cruelty free and vegan by Cruelty Free Australia and are 5-free, meaning they don’t contain any of the nasties commonly found in nail polish: toluene, DBP, formaldehyde, formaldehyde resin or camphor. Polish For Purpose bottles are available exclusively online at www.sayitwithpolish.com.au/polishforpurpose and retail for AUD $20 with worldwide shipping available. Such a worthy initiative to support! 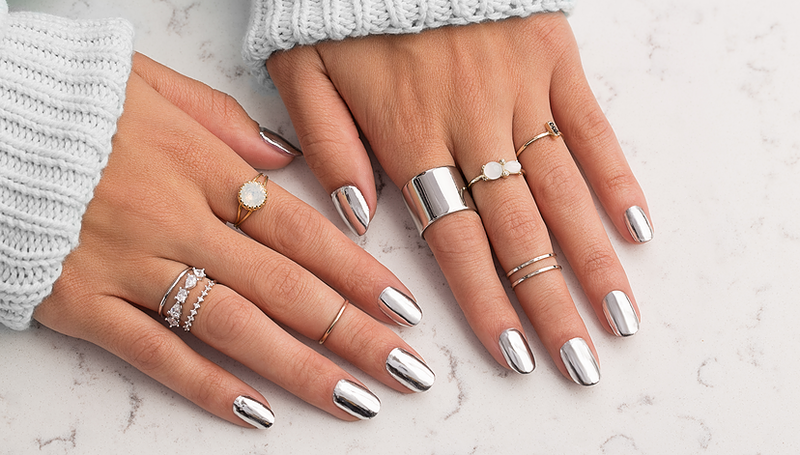 Is there anything better than freshly polished nails in life? It’s such an indulgence but if you’re short on cash until payday (that’s me!) then you’re all set. 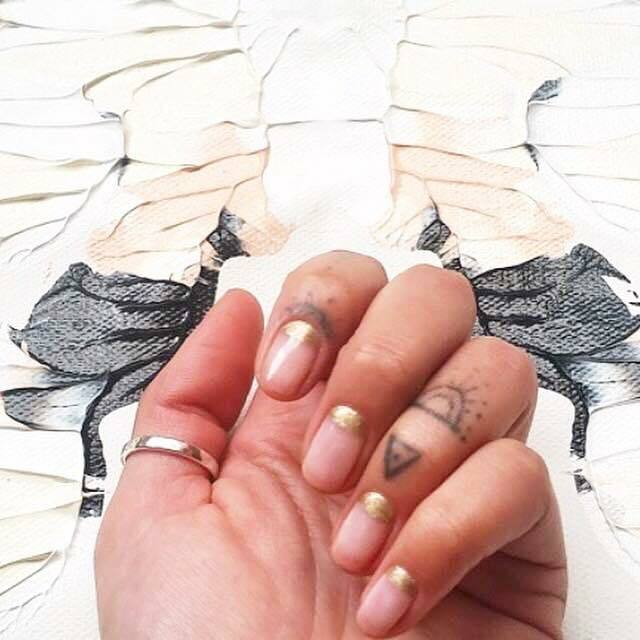 Natural beauty expert, holistic nutritionist and lead distributor of AEOS, Samantha Sargent, has shared her 5 top tips with us for the best at-home manicure experience, plus also gives us the heads up on a hot new beauty product spelt oil making buzz right now! Set up a sanctuary in your living room with a soft towel and your favourite essential oil blend burning. Make a little pot of calming herbal tea and a bowl of warm water scented with essential oils to rest your hands in. Shape your nails with a crystal nail file. Metal files and emery boards tear the nail as they file, leaving rough, sharp edges. The crystal file glides across the nail tip so you can quickly and easily shape your nail to a flawless, smooth finish. Crystal files seal the nail tip as you file, preventing water, dirt and debris from seeping into the nail tip. Rest your hands in the warm “bath” and focus on your breathing for a couple of minutes, breathing out any worries, and breathing in relaxation and the scent of pure essential oils. Remove your hands from the water and gently pat dry. Apply a nourishing natural and organic hand cream, such as the AEOS enriching spelt hand cream, to your hands and forearms, paying particular attention to the cuticles. This is a beautiful opportunity to gift yourself a mini massage to help further alleviate any stress or tension. Optional – if you like a splash of colour. Apply two coats of nail lacquer. 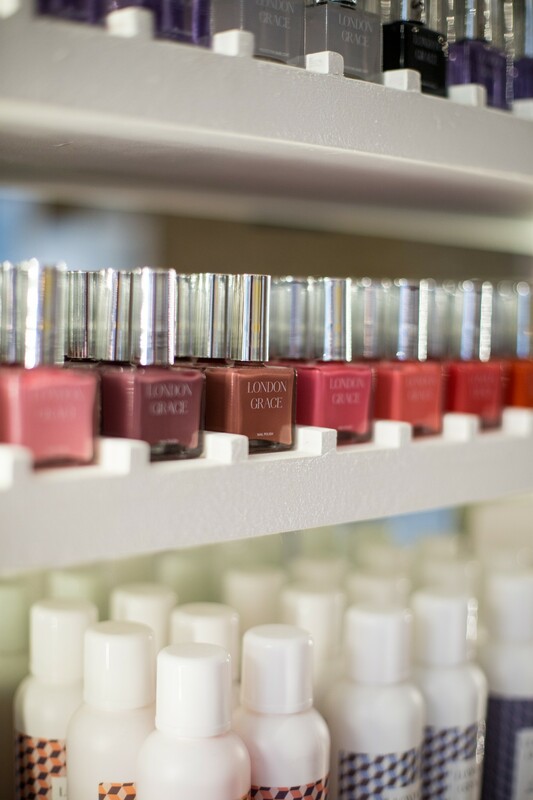 Remember to choose a toxin-free nail lacquer brand that is free from formaldehyde, toluene, DBP, camphor and animal derivatives. To maintain a perfectly polished mani, keep the AEOS Biodynamic Nail & Cuticle Oil in your handbag and apply each day when you have a spare moment! WHY USE A CRYSTAL NAIL FILE? Lead distributor of AEOS and holistic nutritionist, Samantha Sargent, has earned a reputation for being a respected advocate and leader within the natural health and beauty industry. With 18+ years of industry experience, various professional accreditations, and regularly being interviewed for her expert advice, Samantha has been featured in Australian, American and British magazines, websites, blogs and radio, including, Foxtel’s Lifestyle YOU, Vogue, Marie Claire, InStyle, Russh, Women’s Health, Nature & Health, Women’s Health & Fitness, Australian Women’s Weekly, Cleo, Famous, Peppermint, Better Health, Your Fitness, EcoLuxe and Real Living magazines, to name just a few. If you have tried a crystal nail file, or are keen to – let me know in the comments! Enjoy your at-home pamper and remember to turn your phone off – this is YOUR time! 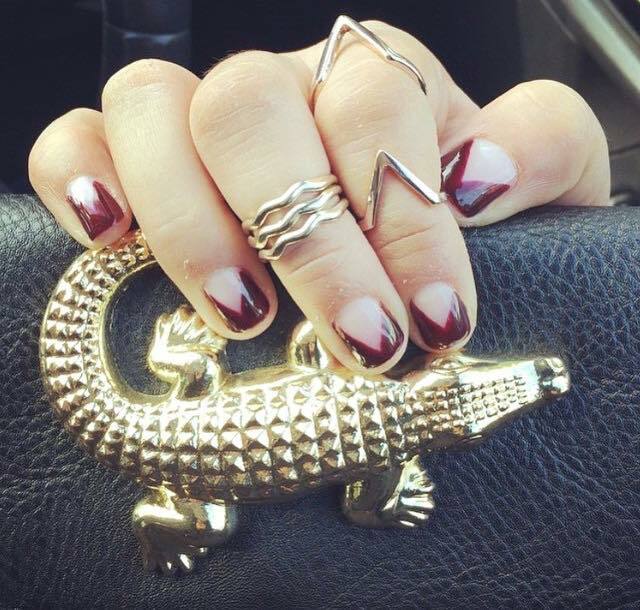 What’s on your nails right now? Share with me in the comments and be sure to tag me on insta! 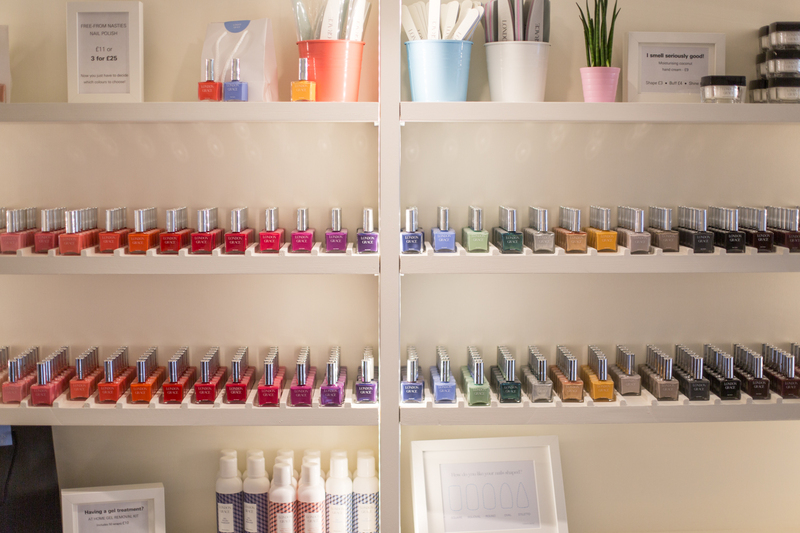 “I’ve always loved nails, but it was during my time living in New York that I really fell in love with the mani-pedi experience. 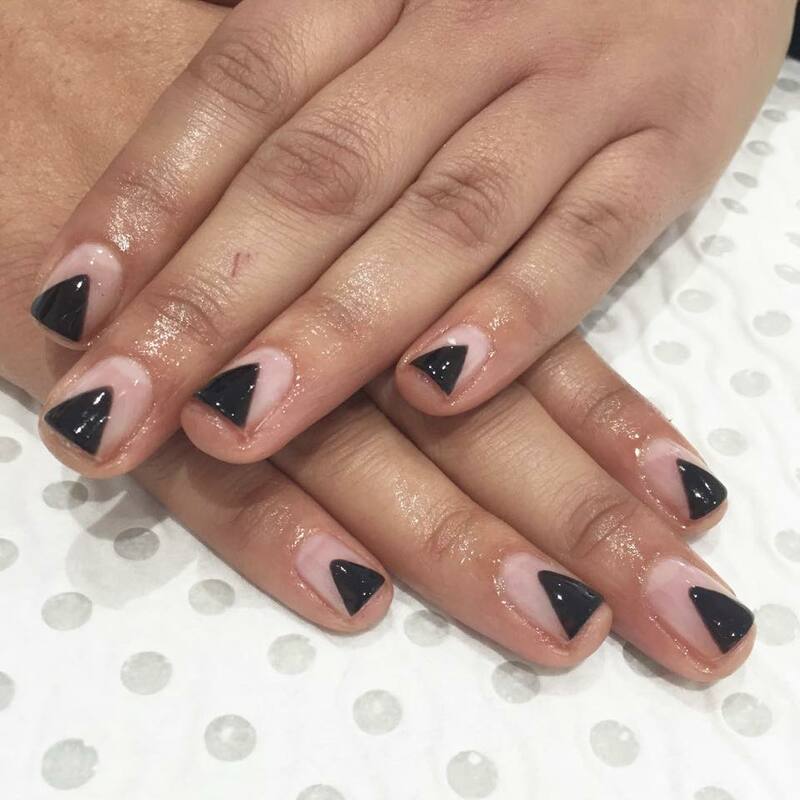 Living in NYC on a student budget, I was amazed to find that getting my nails done was an affordable treat that I could enjoy with friends, even at 9pm. When I returned to London to start my career in consultancy I was disappointed by the lack of choice of nail bars in the city – the luxury, spa environments were too pricey, but the budget, high street options lacked in style and service. I realised there was an opportunity to do something unique, that offered the best of both worlds. My aim was to establish a branded lifestyle experience with beautiful store environments, high quality products and refined treatments, but at affordable prices. I wanted to transform nail care from feeling like a ‘chore,’ into a fun, social experience by creating a nail bar, coffee shop and cocktail bar concept with late night opening hours”. 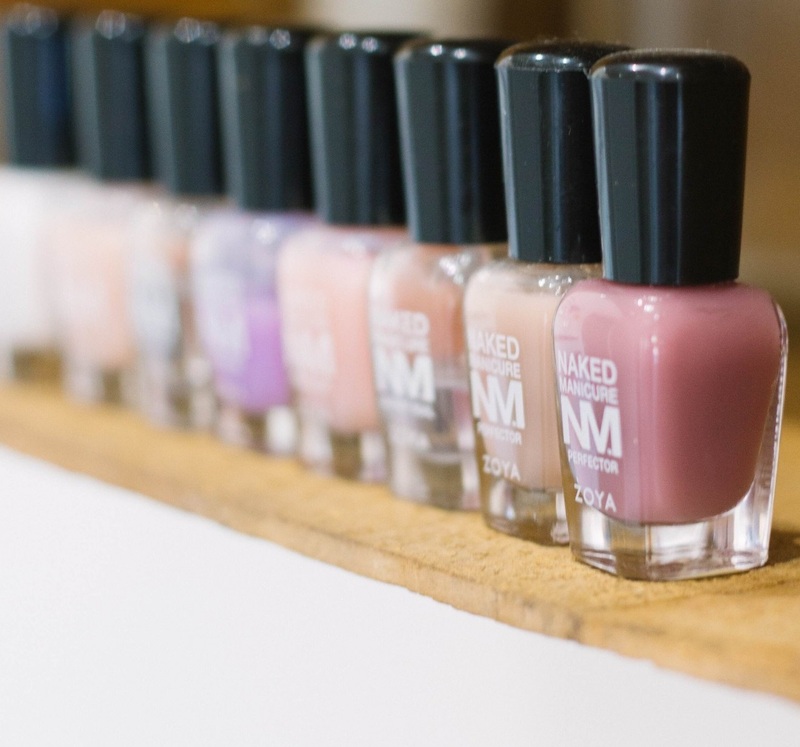 I’ve always loved nails, but it was during my time living in New York that I really fell in love with the mani-pedi experience. 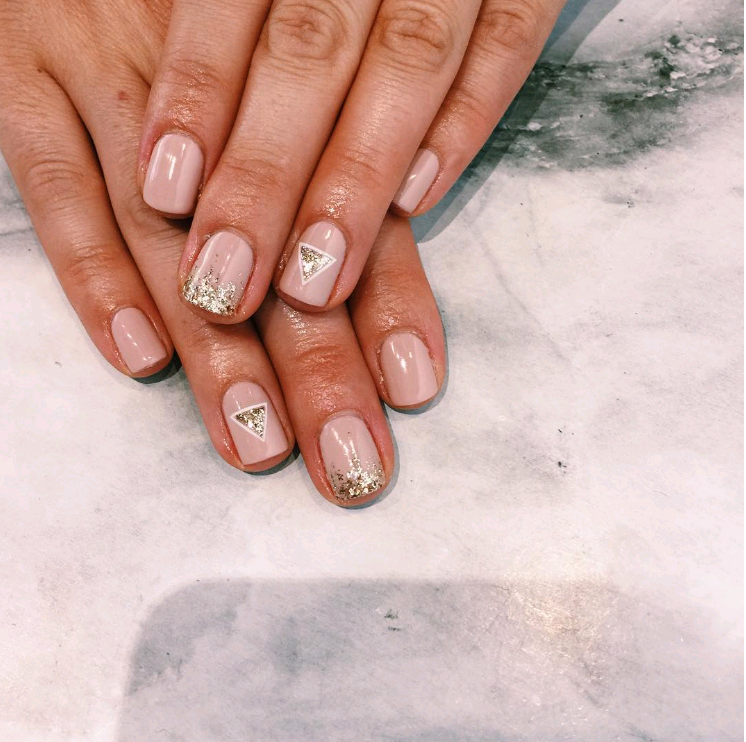 Living in NYC on a student budget, I was amazed to find that getting my nails done was an affordable treat that I could enjoy with friends, even at 9pm. When I returned to London to start my career in consultancy I was disappointed by the lack of choice of nail bars in the city – the luxury, spa environments were too pricey, but the budget, high street options lacked in style and service. I realised there was an opportunity to do something unique, that offered the best of both worlds. My aim was to establish a branded lifestyle experience with beautiful store environments, high quality products and refined treatments, but at affordable prices. 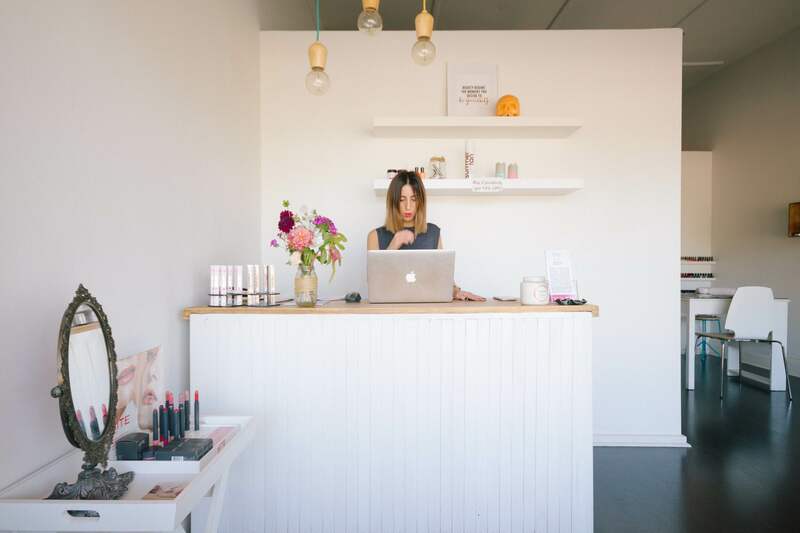 I wanted to transform nail care from feeling like a ‘chore,’ into a fun, social experience by creating a nail bar, coffee shop and cocktail bar concept with late night opening hours. Although it’s been a lot of hard work, I’m so proud of how far London Grace has come in just under 2 years. I’ve shared a typical day for me below! 7am: I absolutely love what I do, so I feel very lucky to wake up each morning feeling excited about the day ahead. I went from working for a large corporate technology company, to creating a beauty brand from my living room, but having a real passion for what you are doing is the best motivation! I swear by starting the day with one of my power smoothies (spinach, pear, apple, banana and lettuce blended with ice). I’m a firm believer in eating plenty of fruit and vegetables to keep your hair and nails strong and healthy. I love a to-do list, so I’ll write down my objectives for the day and then reply to any urgent emails before heading off to my first meetings. 9am: I’m currently on the hunt for new locations to open London Grace, so I’ll meet with our Property Agent, Charlie and look around a few potential units in the city. Next I‘ll head to the flagship store in South West London to catch up with my office team over an Americano – we serve Ozone coffee at London Grace, which is the best! 10am – 1pm: Once I’ve had an Ozone coffee and a snack (my go-to is peanut butter on oatcakes) I’m ready for my most productive part of the day. I studied Economics at university in the UK and then went on to study Graphic Design at university in New York, so I like a working day that involves using both sides of my brain! I am very hands-on with all aspects of the business and each day is varied. I might spend a few hours working on a lease for a new store with our lawyers, before moving on to designing a postcard advertising our party packages (we host baby showers, hen dos and birthdays). When 1.30pm lingers in I am ready for lunch. I’m a vegetarian so I love homemade soups and superfood salads. I’ll take a look at the weekly accounts over lunch to see how each store is performing and then meet with the Management team to discuss the business targets. I’ve experienced the ‘glass ceiling’ effect in previous environments I’ve worked in, so I really enjoy working with talented, ambitious women and encouraging them to grow within the company. One of the Manager’s joined us as a nail technician and worked her socks off to rise through the ranks and a former Barista in the store now works as a full time Admin Assistant in our office team. Not that we are by any means a ‘female only’ workplace, we have a bartender called Louis who works behind the bar and works his magic with the cocktails during our ‘Lacquer and Liquor’ happy hour. By late afternoon the store starts to come alive with our group bookings and although nothing beats the sound of hearing clients enjoying pampering and drinks whilst they catch up with friends, it’s not the most productive environment to work in. I’ll head back to my office at home and work through my emails, before taking a few calls from our architect and fit out team to discuss plans for our new central London store. 7 pm: When I can fit it in, I love to sweat away the stress of the day with a spinning class. My girlfriends and I are very competitive when it comes to getting our names at the top of the leader board. 8pm: My husband is a car journalist so he’ll pick me up in his latest test drive and we’ll head home to cook a nice dinner together. We’re recently married, so we are currently spending our evenings writing thank you cards and reminiscing over our amazing honeymoon in Bali. 9.30pm: There’s nothing like a relaxing bath at the end of the day to help you unwind. I add a few drops of calming oil, light some candles and read my favourite magazine ‘The Week.’ My aim is to be in bed my 10.30pm as I’m an 8 hours of sleep kind of woman! 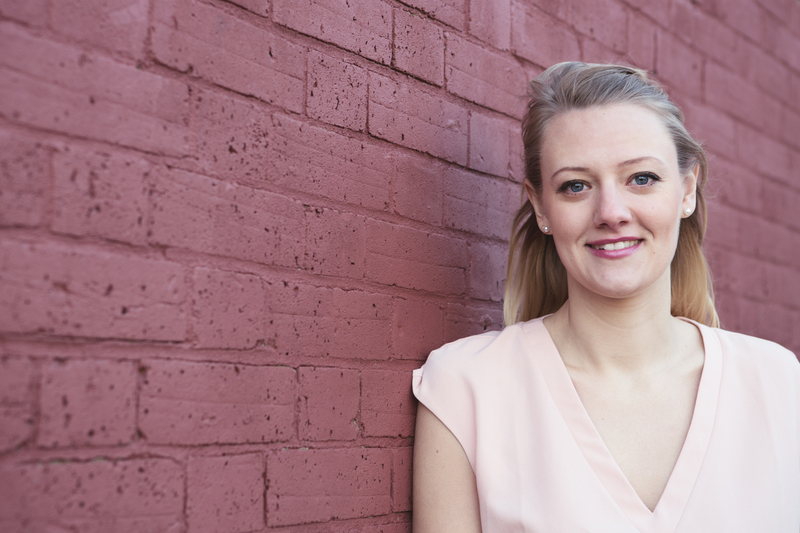 Kirsten says: “For me, I moved to Melbourne 4 weeks ago and have just started my new job. A typical day looks similar to the below; I wake up each morning to my partner Ryan, who leaves at 6am telling me he loves me and then next thing I know, my alarm is going off at 8am. I will never be caught without makeup, ever, unless I’m at home with just Ryan so it’s makeup time and I almost usually never do my hair – it remains messy and touselled. I then have to decide between my Tony Bianco sneakers or Balenciaga boots with what matches my daily ensemble of layered black clothing! That said, I do love dressing up and feeling pretty on the weekend! But for now, it’s work time from 10am”. 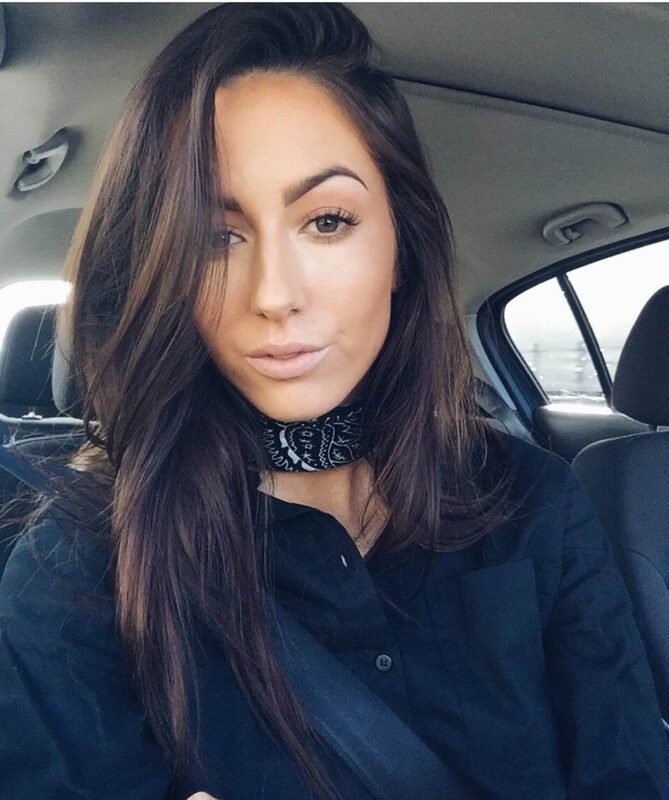 “I travel about 40-50 minutes to work every morning which isn’t too bad, but long enough, I think! Every morning I stop and get an oak chocolate milk, yes every day – it’s just too good to pass up! Once at work, I look through my day and as I am still building a client base, I usually work on building my social media and answering the phones throughout the day. I love creating relationships with my clients, especially the recurring clients because you can catch up with them every so often. My new role at Beauty Lounge, St Kilda is amazing, I love it! My days are still building my clientele as I said, however so far I love it – my current clients have been incredible and I’m looking forward to meeting more and continuing to leave work with glitter everywhere… think my cars steering wheel, my clothing, inside my shoes and bras and the like! On the way home, I have to be sure not to pull into KFC as that is often what I feel like – embarrassingly I could eat it every night!”. 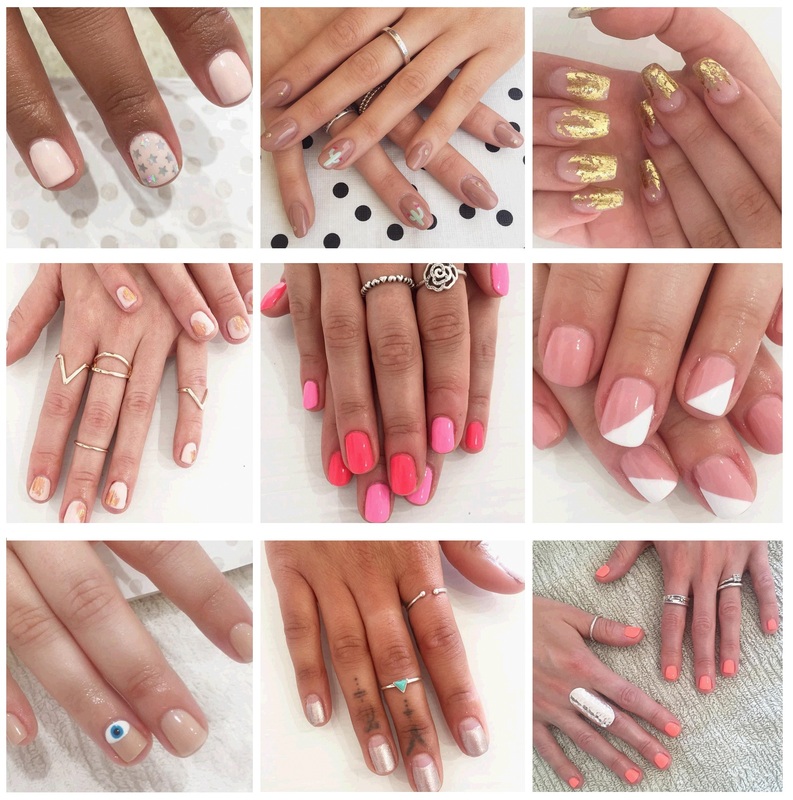 Okay Kirsten, Emily here – tell me what’s hot in nail art right now?! Keep on readin’ for a typical day in this beauty-full gals life! 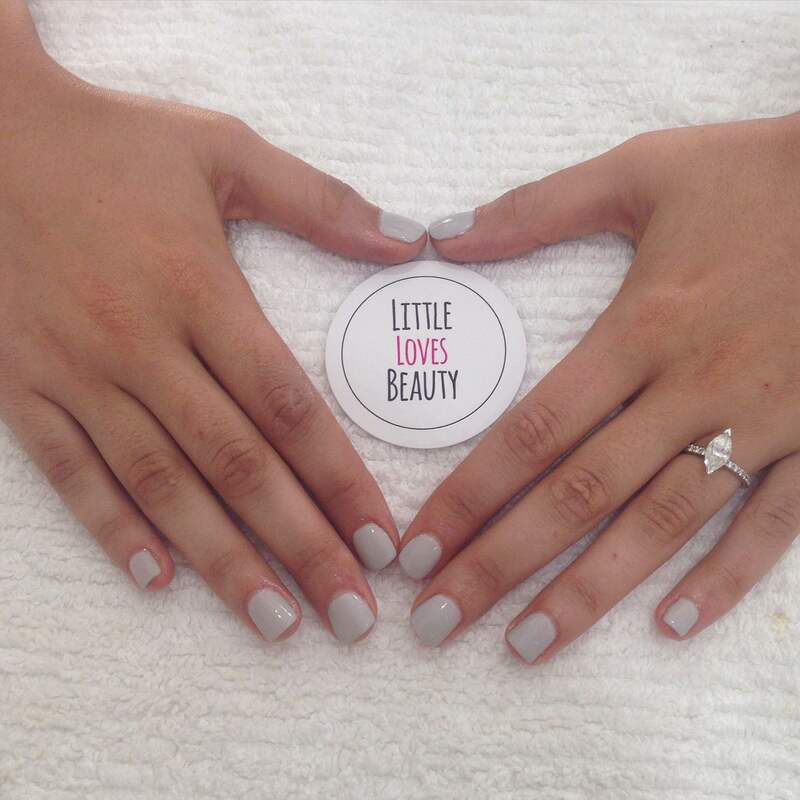 Rosanna Aloi, beauty therapist and owner of Little Loves Beauty runs a busy little salon in the Western Suburbs of Adelaide. 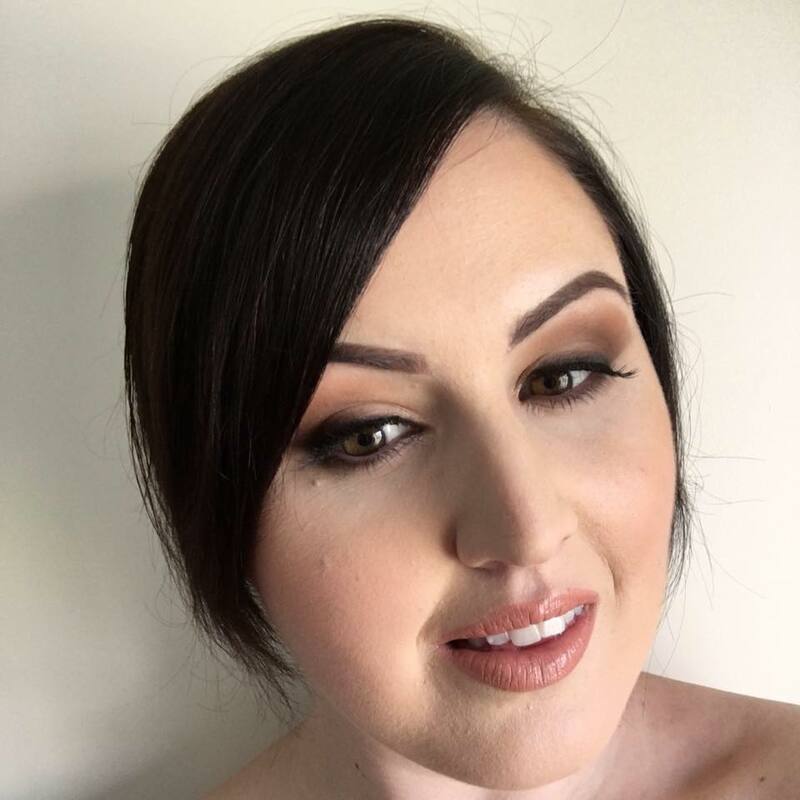 Her days are spent looking after her clients from spray tans to waxing, manicures to pedicures; Rosanna is constantly busy pampering and plucking at her salon. Her day starts around 730, where she wakes up and makes herself a nutritious breakfast, usually consistent of an egg omelette and a coffee, something to sustain her through to the afternoon. Living close to her salon, Rosanna has the luxury of riding her bike to work each day, and pedals in around 830, for a 9am start. She ensures everything is set for the day and she is well organised, as she explains she can get run off her feet and needs to be prepped for anything. 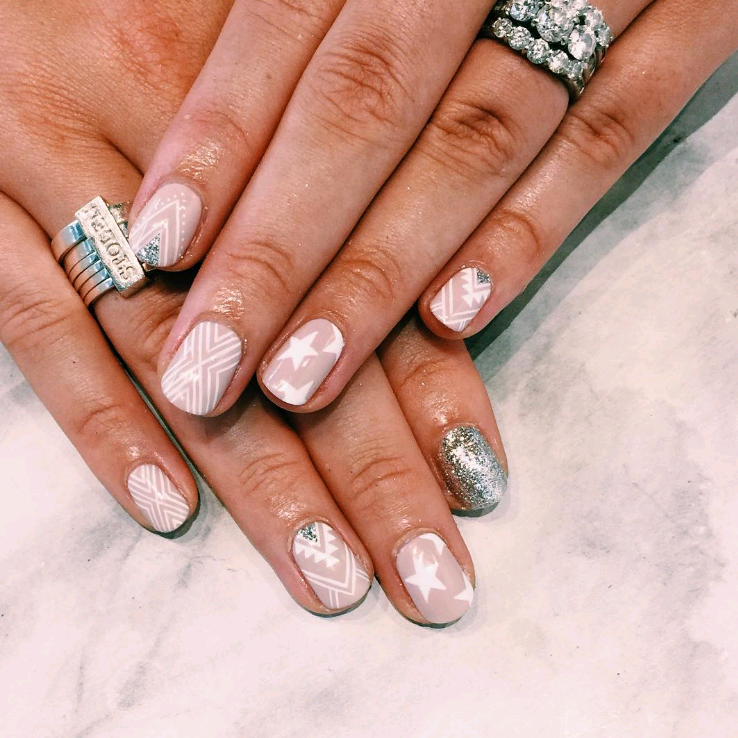 Her mornings can range from waxing, manicures and her famous mani shellac nail art that she continues to emerge with new and exciting designs. Lunch doesn’t have a set time, as she has to work around her clients and their appointments. Tuna salad is a staple lunch here at Little Loves, and if Rosanna is lucky she sometimes manages to fit in an afternoon coffee with a client. Her go to coffee at the moment is from a local café one shop down from hers, one almond milk late to go thanks! Her afternoons are a delight, with some afternoons she has the pleasure of pampering bridal parties just before the big day, from manis to pedis to spray tans, you can get the full package and Rosanna will give the bride and her bridesmaids a nice relaxing time where they can enjoy their treatments. Her end of day is usually around 630 (minus the late trade on Wednesday and Thursday nights), and then its cocktail time for Rosanna as she unwinds for the week and refocuses her energy on the next week of her busy life as the owner and beauty therapist of Little Loves Beauty. 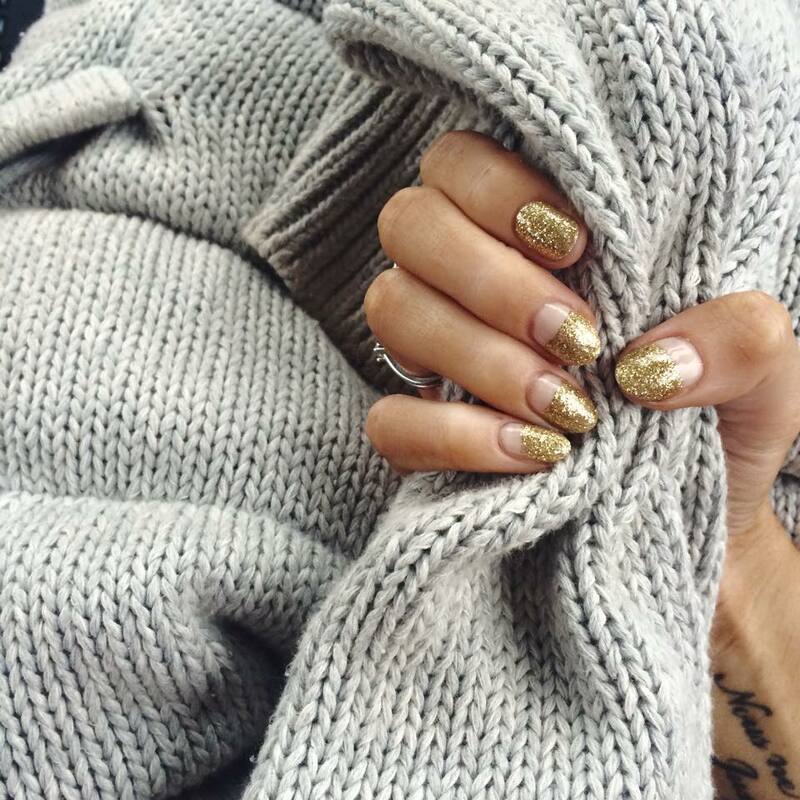 Glitter nails give me life, whether it’s New Years Eve or simply a Tuesday. 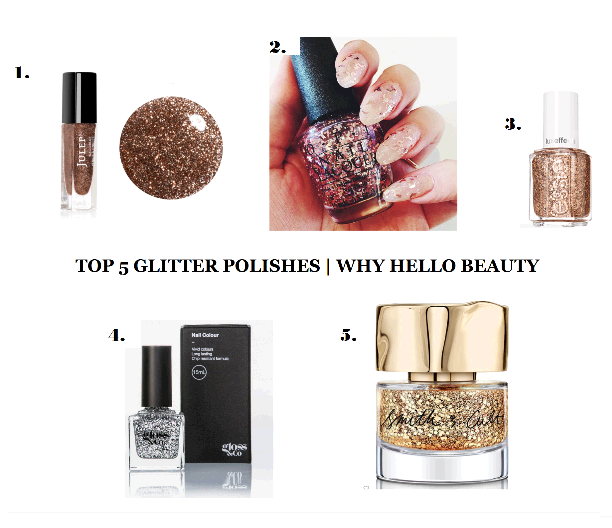 What better time to share my Top 5 Glitter Nail Polishes, in no specific order! 2. 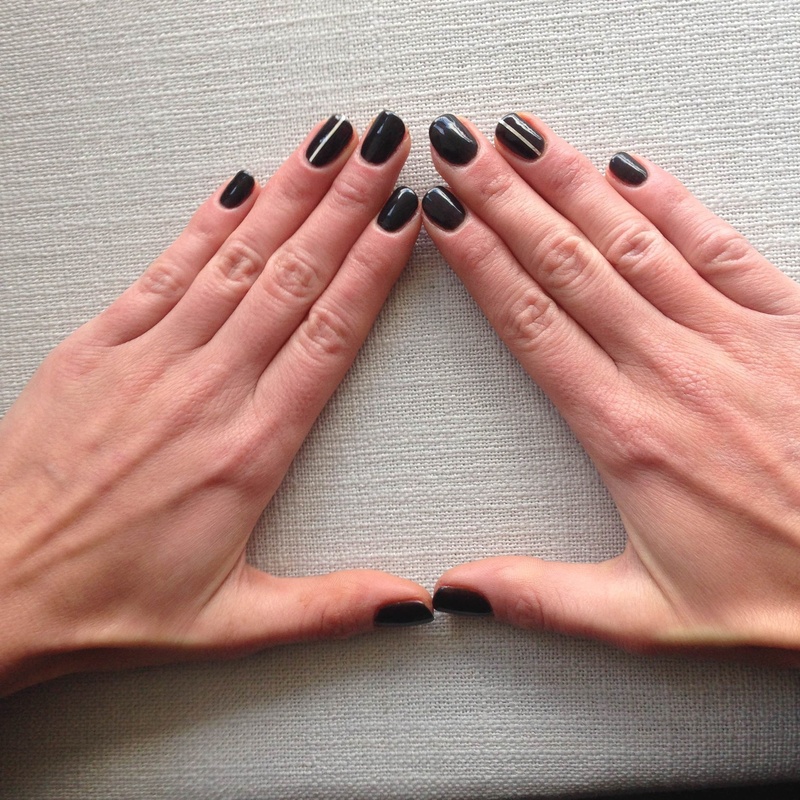 OPI | Infrared-y to Glow” from Starlight Holiday Collection – worn beautifully by @thedailymark! Which is your favourite shade above? Do you prefer large glitter particles or smaller? Share with me! 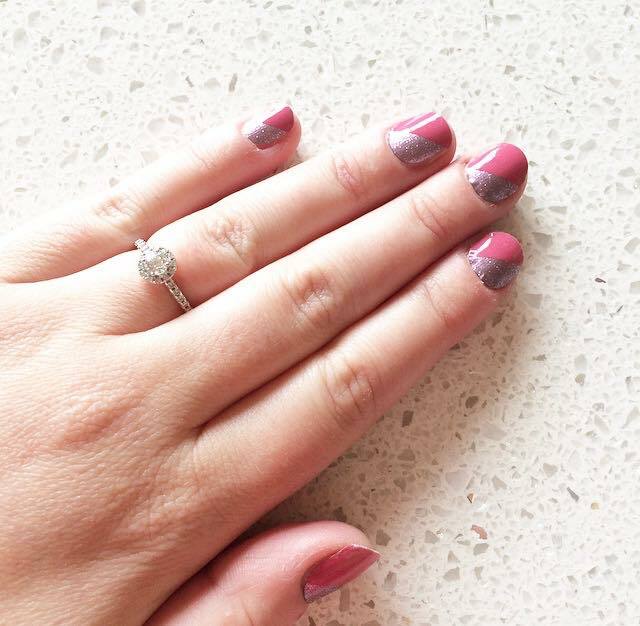 Jamberry Nails are everywhere right now, especially in Australia. Being a heavy instagram user, I have heard of Jamberry for some time but didn’t realise their popularity until just recently. So I decided it was high time I got my head around Jamberry and all it offered. Recently, I chatted with Jamberry’s Marketing Director Sarah Griener who gave me the full lowdown which I’ve shared below. 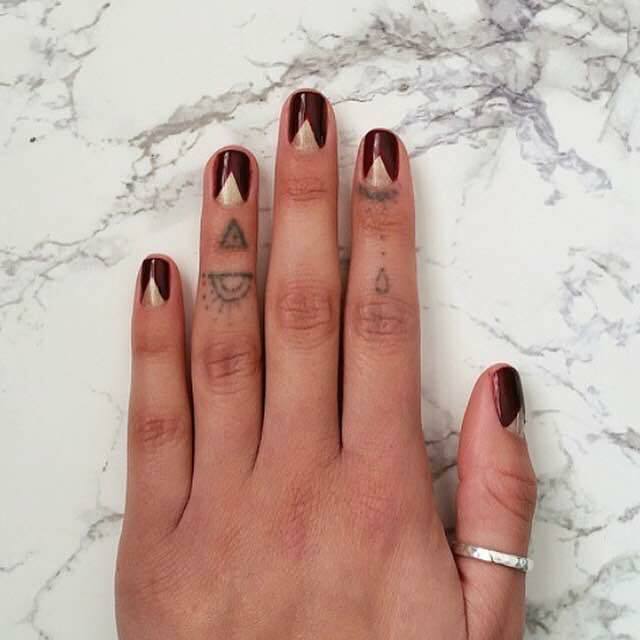 Oh, and be sure to keep reading to see some images of my first DIY Jamberry manicure! Hi Sarah! So tell me, what is Jamberry? Put simply, Jamberry nail wraps are a nail treatment that you can use to apply a wide variety of styles of nail art to your nails from the comfort of your own home. They use a DIY heat and pressure application method and can last up to two weeks on your fingers and four weeks on your toes. 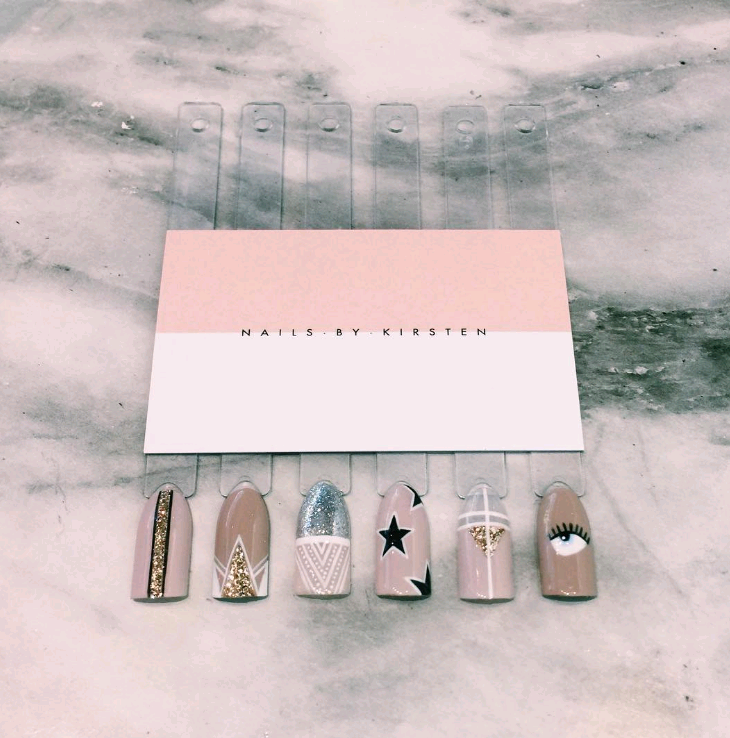 What is the difference with nail wraps as opposed to nail polish/ gel polish? Jamberry nail wraps are made with a solid film covering, so not only do you not have to worry about drying time, but your nails will never flake or chip. 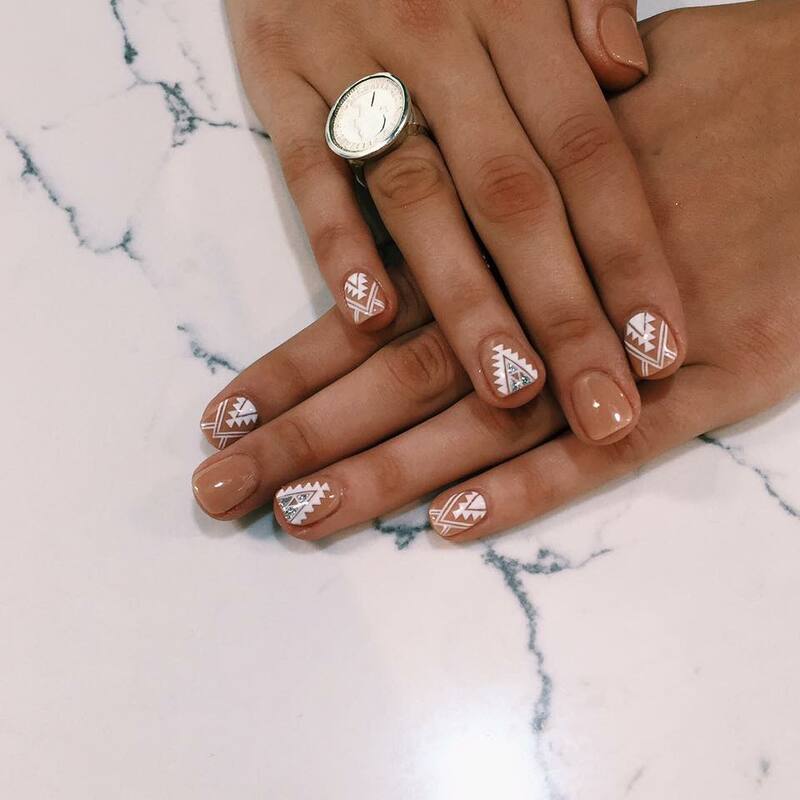 With nail wraps, you can also achieve intricate nail art looks in just minutes that would be nearly impossible to create by hand, especially by yourself on both hands. Is Jamberry different to the nail wraps seen in beauty supply stores and nail foils? One of the biggest differences is the amount of variety Jamberry has to offer. With a catalogue that contains nearly 300 designs and limited edition designs coming out each month and with each holiday, everyone is sure to be able to find a wrap they love! What is your advice for long-lasting gorgeous Jamberry nails, Sarah? Properly prepping your nails is one of the most important steps in applying your Jamberry nail wraps. 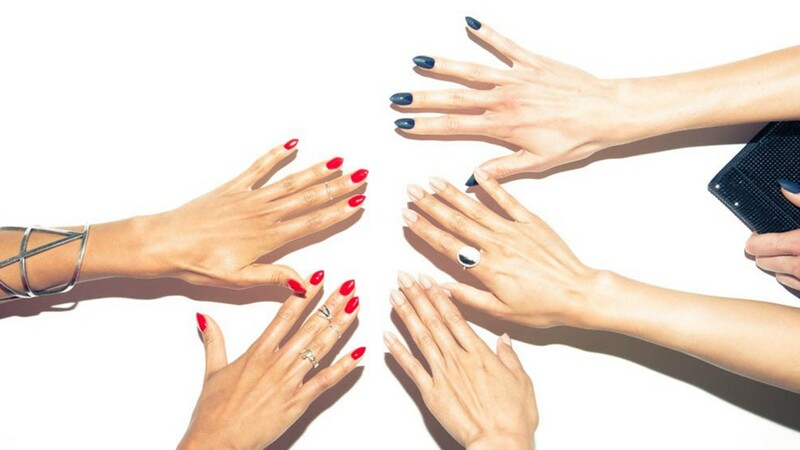 Nails must be clean, dry, and free of dirt, oils, or dried cuticles before applying your wraps. I notice you can become a rep of Jamberry to ensure an endless supply of Jamberry and also make a little cash, tell me more! Women across the world (Australia, New Zealand, US, Canada, and Puerto Rico) can partner with Jamberry as independent business owners for the opportunity to run their own Jamberry business. As an Independent Consultant, these women are able to earn commissions, bonuses, and even incentive gifts and trips as they represent the Jamberry brand and help their friends try the product and express their personal style. Sarah, is there anything else you would like my readers to know? Jamberry is a company that was founded by women (three sisters) to empower women to express their own personal style and to make life beautiful. In addition to our wide variety of nail wraps, Jamberry also offers a line of Professional Nail Lacquer, a DIY at home Gel Enamel System, as well as a variety of nail and hand care products. The range of nail wraps is mind blowing and I’ve popped a link below for you to scroll through all of the designs. Now I promise you some snaps of my first Jamberry mani, so here you are. I used the wrap B015 Pretty in Pink for some Spring fun! 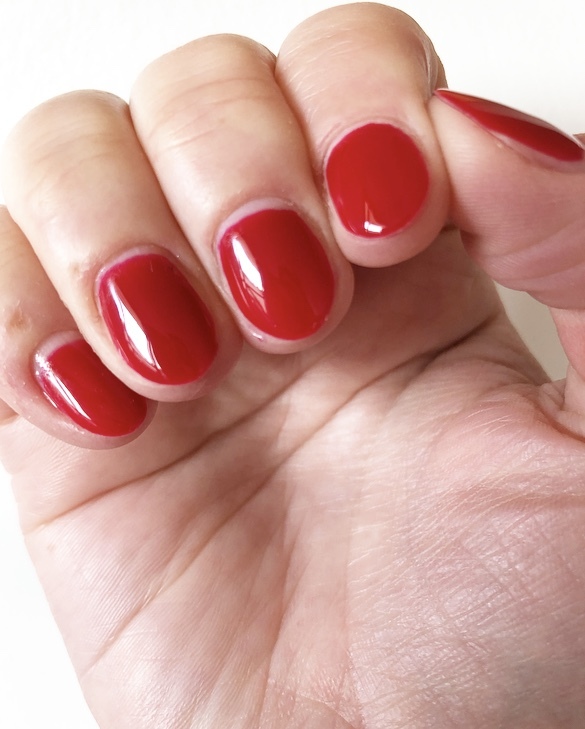 I’ve also listed my top tips for flawless manicure below. Swiftly pull the nail wrap from the backing and place onto an orange stick/ nail scissors and place over a heat source (i.e a candle) for a few seconds, until you see the wrap begin to gently drop. With a pliable wrap, place over the nail and use an orange stick to adhere the wrap neatly and securely to the nail. Trim around your natural nails with tiny scissors and at a 90 degree angle, use a nail file to file away the remaining wrap. That’s it! 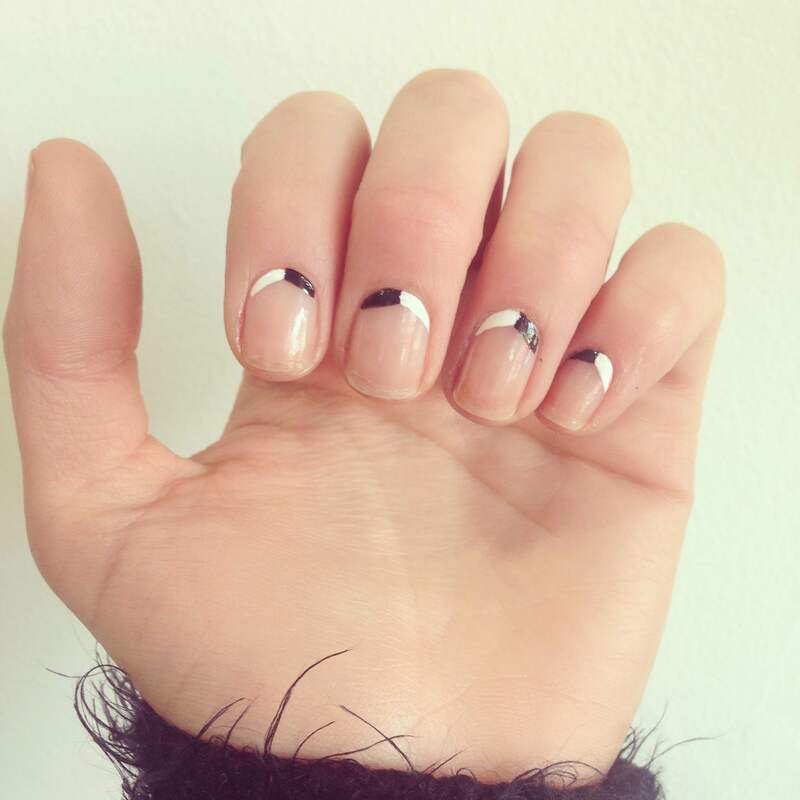 Repeat to each nail and voila – how easy is that?! 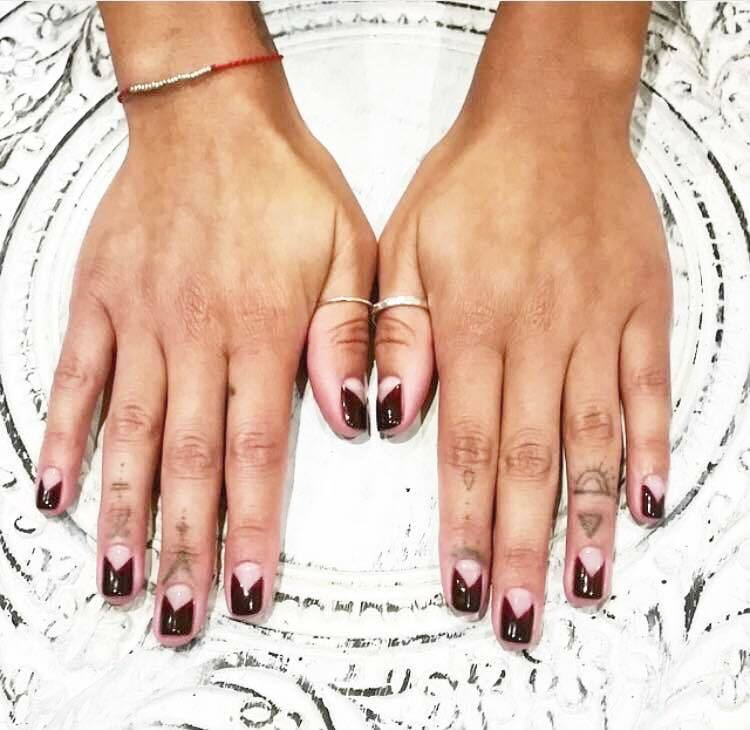 Will you try Jamberry Nails for your next manicure? Be sure to tag me in your social media snaps, I’d love to see what designs you’ve chosen! My blog is a place where I can share what I know with you but sometimes I also need to call in professionals to share their expert knowledge. Recently it was Lenita Cundari, today it is Kirby Holland. Kirby is the owner of Kirby Holland Beauty Massage & Nails, and today she will chat nail hygiene and what you need to keep in mind whilst pampering those claws of yours! Nails service’s in Australia are big business. 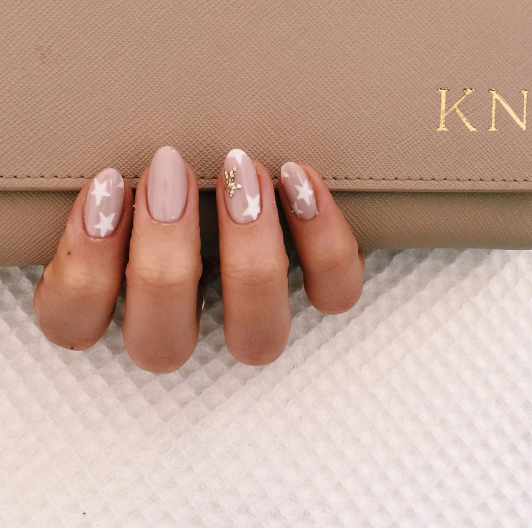 From a basic manicure to nail extensions, so much money is poured into this section of the beauty world. For some people, nails are a must. 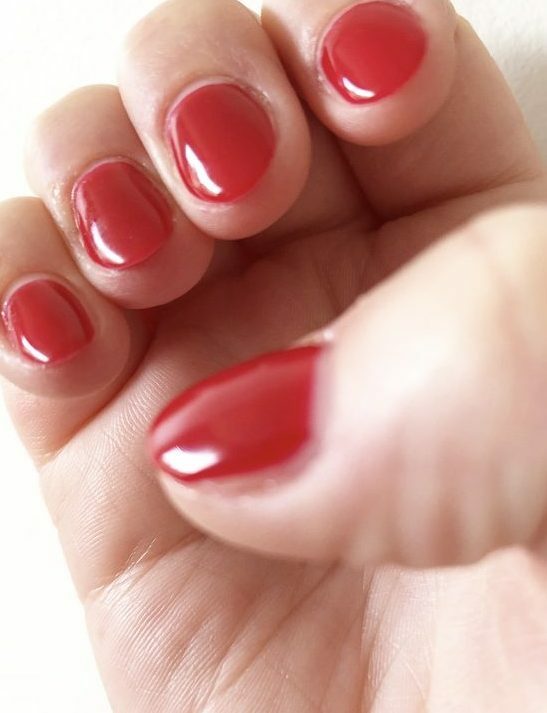 They simply can live without beautifully manicured nails but what are the risk’s associated with this necessity? Over the years there have been many programs like Current Affair and Today Tonight (does anyone remember that show?) claiming to expose the dangers within nail industry, giving us nail tech’s a bad name. Like anything in this world, there is risk associated everything we do and this story is not to scare you but simply make you more aware of what can happen if you are exposed to bad hygiene practices in a salon. So what does bad hygiene practices look like in a salon? Some signs are obvious and others are not. For example, grubby floors and walls and dust everywhere, doesn’t scream cleanliness. Look more closely to your nail tech’s table. Is it dust and dirt free? Does it feel dry? By the way dryness is good sign, it means it has been wiped down with hospital grade disinfectant. 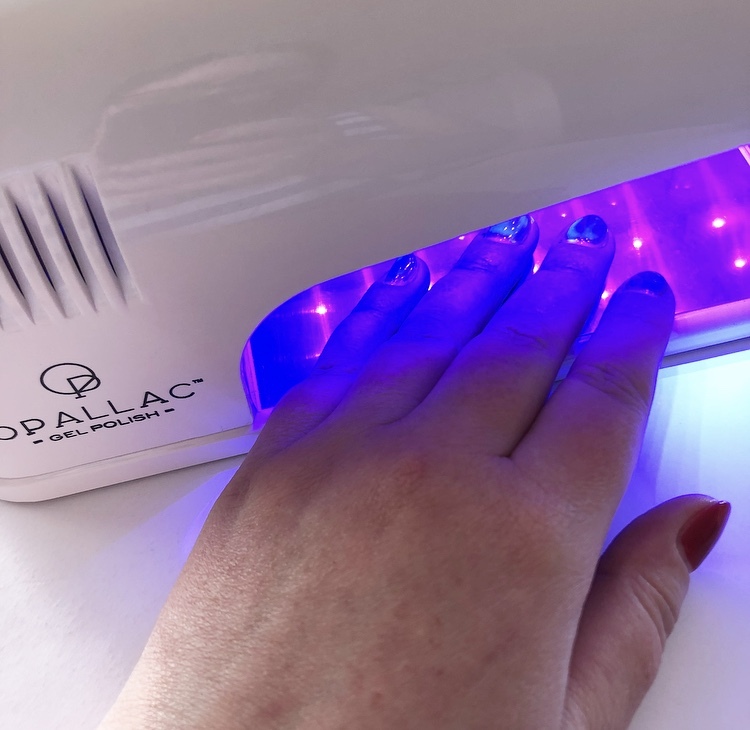 Nail files should never look discoloured, torn or damp and metal implements should look shiny with no signs dirt and grime from the previous client. Pedicurebowls and spas are a breeding ground for bacteria and they can be really difficult to disinfect. Spas have to cleaned and dried after every client, which can be tough if there are a high turnover of clients so be very weary when you are dipping your feet into a pedi spa. It can take only one spa that hasn’t been completely drained from the previous client to be at risk of developing and infection. 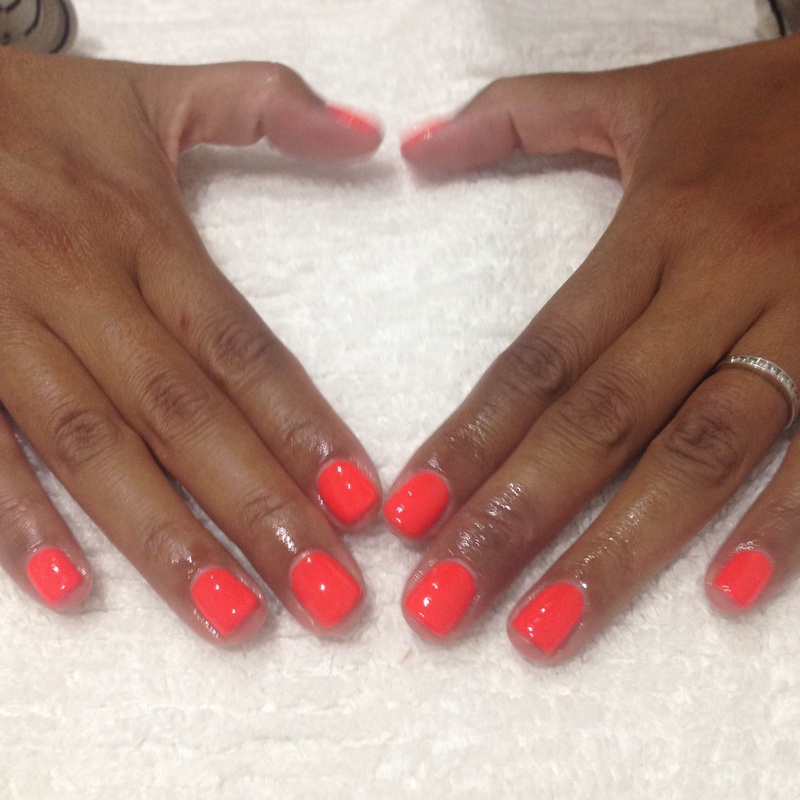 Have you ever had a nail service, particularly a pedicure and notice the skin around your nails are really sore? Over the years I have had many clients come to me with some pretty bad horror stories. Implements like nippers, scissors, clippers, drills and cuticle pushers have the capacity to break the skin and take healthy skin with it. Never let someone use a callous remover blade on you, other than a trained podiatrist. These things can be extremely dangerous in the wrong hands. I remember a lady who had a blade used of her feet, so much healthy skin was taken off resulting in her not being able to walk for a few days! I hope I haven’t scared you all into thinking you are going to get a fungus at your next nail appointment but there is good news: the majority of nail techs do the right thing. Good hygiene looks like nail technicians wiping down tables and chairs with a hospital grade disinfectant after every client, washing their hands, washing, disinfecting and air drying metal implements in a dry sterilized area or autoclave. Files and buffing blocks also have similar cleaning procedures. Salons must have good housekeeping skills and if you don’t feel they meet those standard then select a different salon for your next appointment. Always disclose if you have or had any infections, fungus’s or disorders regarding your hands and feet. Take note of the nail tech cleanliness and nails; never trust a nail tech with bad nails! Look around at the salon, does it look and feel clean? Are employee’s wearing dust masks? If so, leave immediately. Are foot spas dry before use? Only use a qualified nail tech. Always look at the implements that are being used on you, say something if they don’t look right. 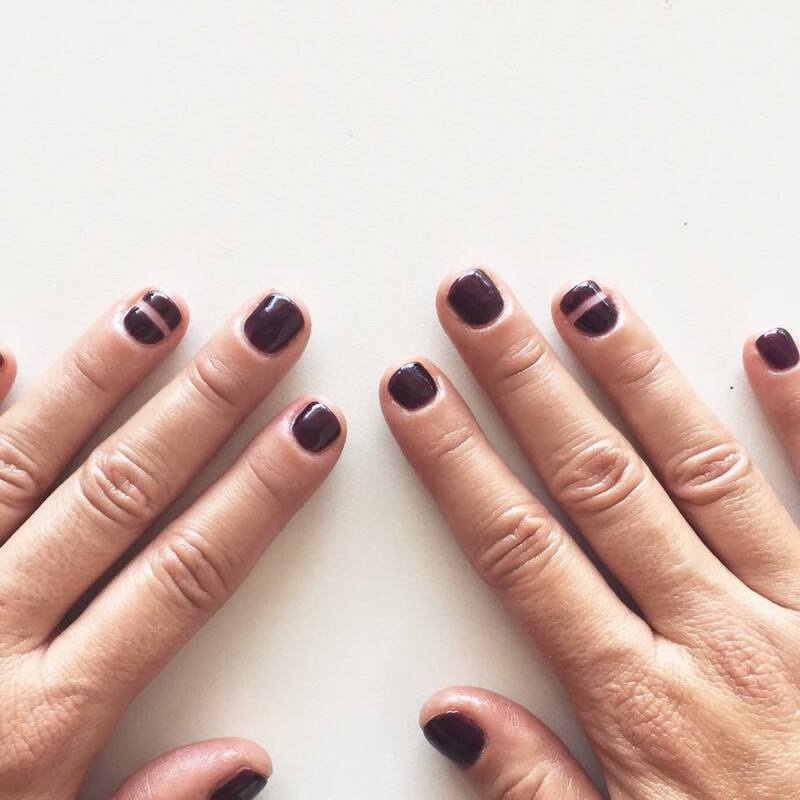 Hygiene is probably not something you have ever thought of when getting your nails done, but it is incredibly important to your health to be wearing of what is happening around you. No one likes to walk away with more than you bargained for. Be aware and have great nails! Connect with Kirby on facebook for more nail information and inspiration!